Barrow Hill Reservoir is located in Central London at Primrose Hill. The reservoir is a twin cell service reservoir with an internal Valve Chamber. This was the first reservoir to be built in London in a century. 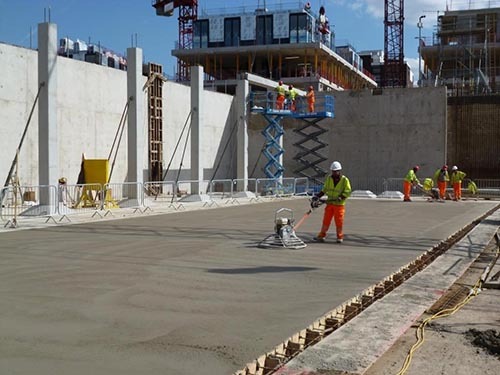 The new structure was built on the site of a brick-built reservoir that was constructed in 1826 and used continuously, until it was taken out of commission in 2002 after ground movement caused damage to the roof. 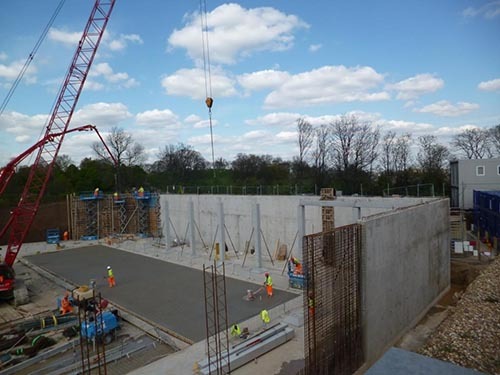 The Barrow Hill Reservoir plays an important role on ensuring the resilience of supply and its capacity provides Thames Water with the ability to maximise the efficiency of its pumping regime for moving water around the ring main. Ward & Burke developed a system that incorporated a vertical truss girder made of reinforcing steel into the design of the reinforcements, eliminating the need for propping at all. Once the wall starter bars were cast into the deepening at the edge of the base slab, these girders were welded to the starter bars at intervals around the perimeter acting as supporting columns. The wall steel, prefabricated in panels was then lifted in and fixed to the girders and was completely stable, without the need for propping. The girders then became part of the permanent reinforcement. This was all completed without scaffolding. 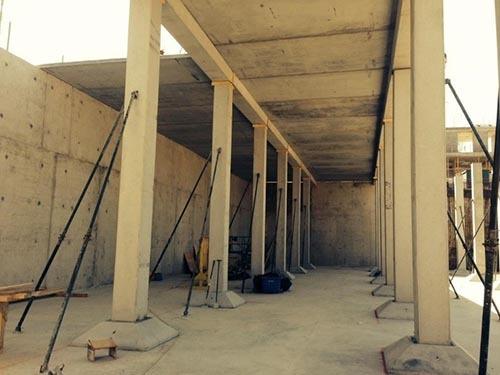 With regards to instu concrete walls, Ward & Burke had to work closely with the client in order to make the process safer and more efficient as one of the big risks of propping reinforced steel is that generally, when wall steel is propped and then props are taken out and the shutter is put in, there is risk of collapse.